The following post is based on my presentation to a Safe Routes to School National Partnership webinar, “Harnessing the Power of Data to Support Kids Walking and Biking.” My slides and a recording of the webinar can be found here. In the United States, cities build all kinds of new infrastructure when it’s time to host a Super Bowl or the Olympics. But at most schools, where missing sidewalks and bike lanes are routine, they continue to look away – often with very little planning or thought – and force kids, year after year, to enter and exit strictly by either bus or car. Parents, who have plenty else to do and usually don’t have children at any one particular school for more than a few years, meaning the time investment may not be worth the effort. So how do we make it easier to walk and bike to schools, gaining all the societal positives such behavior would bring? One answer could be data collection and analysis, and the ways we can become so much smarter when we build our neighborhoods around what we learn from it. Five years ago, we didn’t have this much smartphone data, Waze, or Google’s Sidewalk Labs – which is working to track how people move about walkable places. Governments and businesses now have access to much of that information. There should never be another “Bridge to Nowhere”-like debacle. Decisions about which projects to fund have to be made on the facts, and nowadays spending $400 million on a pork-barrel bridge that carries fewer than 100 people a day would not – or at least absolutely should not – happen. Of course, leaving decisions strictly to the policymakers may not exactly be the answer either. If it were, safe routes to school would be the norm. You need champions, and some of the most promising champions are citizens, hackers, writers, artists, and others who know how to take data and turn it into compelling stories that inspire actionable pilot projects, advocacy, and even funding and policies. Stanislav Parfenov explains the pedestrian-recording Placemeter tool during a meetup. Our own Transportation Techie group was founded by Michael Schade (a true champion) nearly three years ago. It has held about 30 monthly show-and-tell events in which hackers (and many with minimal computer skills) present data visualizations and discuss trends in transportation they’ve discovered by digging into data sources such as open transit data feeds. In one meetup last year, presenters shared projects related to capturing and analyzing walking data, such as measuring the state and usability of sidewalks. The Techies group has grown to 1,700 members, a testament to the widespread interest in transportation data. There could be similar meetups just about anywhere, which could mean more data turned into stories, in turn creating action from that data. Most people don’t really know how long biking or walking to school will take or what kinds of variables go into navigating landscapes outside of the confines of the personal car. But there’s something any towns, individual schools, or groups can organize to generate their own data – Radius Rides. Schade, of our Techies group, took the data compiled from one such Radius Ride in Alexandria, Va., and turned it into a full-motion graphic, which could then be communicated understandably to stakeholders. This effort had the added benefit of showing that bicycling for everyday trips and errands is often the best transportation option by many measures. Along with cool graphics, this kind of fact-finding is invaluable for messaging, marketing, and advocacy purposes. TransitScreen was born as part of Mobility Lab’s tech fellowship program in 2011. Since then, it’s come a long way in the marketplace, expecting to have screens and displays in 5,000 locations in 40 cities across 10 countries, and in 10 languages, by the end of the year. Even in a world where so many people have transportation information on their smartphones, real-time information on a billboard-like display is crucial in training people to think about their many options. That kind of brain training will get school kids practicing active transportation. And wouldn’t a TransitScreen in every school be great for helping kids hop on the subway or the city bus on their way home? All that said, it is ideal when real champions eventually wind up including the top decision-makers. In Arlington County, Va., the public schools are working with county employees and the county’s commuter bureau on a transportation demand management plan, a first-of-its-kind program for schools. 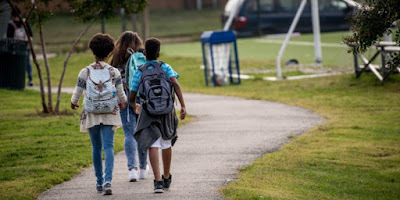 A report fully outlining the TDM plan will be released later this year, and will feature extensive survey information showing biking, walking, and driving rates along with data on the number of active-transportation programs at all Arlington public schools. The report also will include relatively aggressive targets for improvement by 2021. Data for these initiatives needs to be comprehensible, as noted in a recent Safe Routes to Schoolreport. And the report highlights several excellent projects around the country, but these too often remain the exceptions. As generations younger and older alike begin to understand the possibilities by having the facts in hand and the tools to make them clear and actionable, better decisions will begin to happen in many communities. Schools won’t be built at the end of highways, strong infrastructure like protected bike lanes will connect neighborhoods to their schools, and parents will understand that driving their kids to school every day isn’t necessarily the best decision. Open, accessible data, and the communication tools and wide-ranging partnerships they will help create, will ultimately make students’ routes to school more safe – and even fun. Photos: Top, students walk to school in Arlington County, Va. (Sam Kittner for Mobility Lab, www.kittner.com). 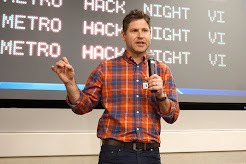 Middle, a presenter at August 2015’s Walk Hack Night (MV Jantzen, Flickr). This article originally appeared on Mobility Lab.